Happy- if you're Canadian, holiday- Monday! I was up particularly early today and thought it only seemed fitting to do a little administrative work- emails pile up mighty quickly- and get to a little blogging. 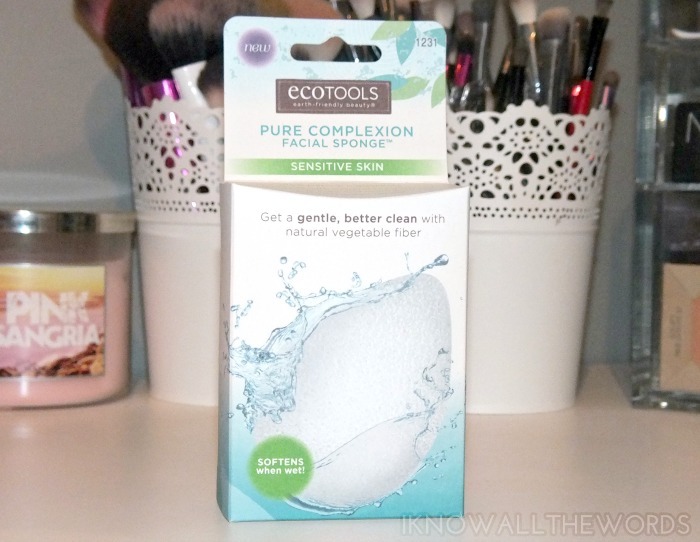 I recently was sent a few new EcoTools products, and one of which as the very neat Pure Complexion Facial Sponge for Sensitive Skin. Read on for more info! 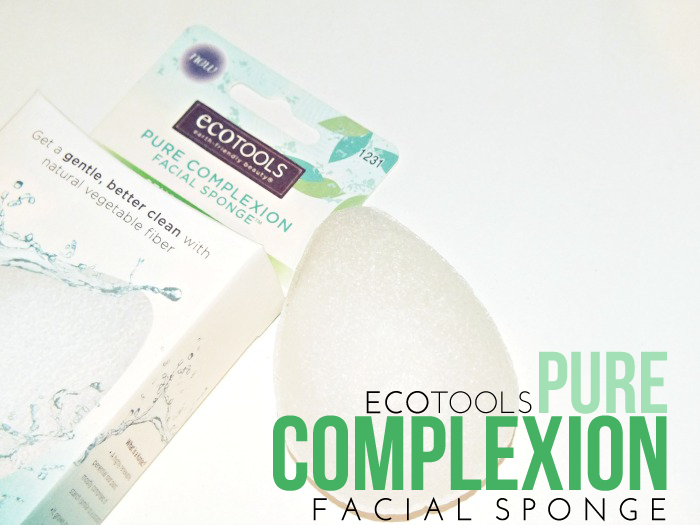 The EcoTools Pure Complexion Sponge is the new kid on the cleansing block, except the concept is far from new. 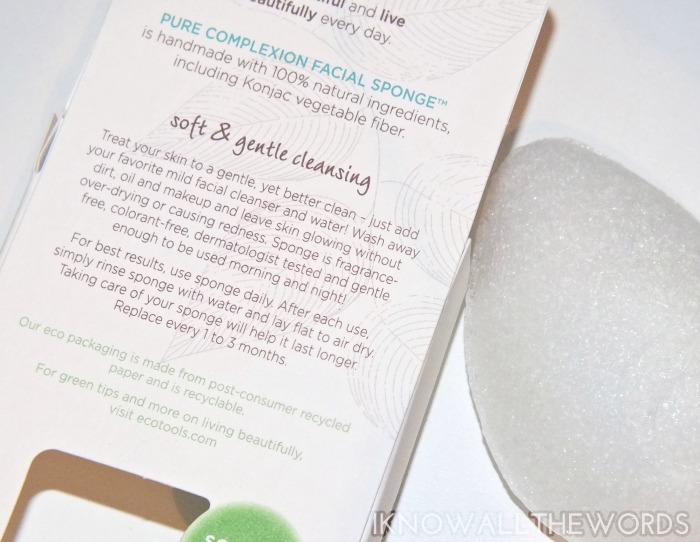 The EcoTools sponge is made up of all natural ingredients, including Konjac. which is a highly renewable root plant that is indigenous to Asia. It's been used traditionally as a detoxifying dietary staple and as a naturally exfoliating sponge in Japan. Quite a few brands make Konjac cleansing sponges, but EcoTools is the first drugstore level brand to produce one. The sponge doesn't look like much- especially when dry, it looks like an egg shaped hunk of foam- but fear not, as it softens when wet. When you place the sponge under water it plumps and softens. To use it, you simply add a bit of your favourite cleanser, give the sponge a squeeze to get a little froth going and scrub yo' face with it. Simple. The sponge is delicate, and doesn't really feel like it's exfoliating, but once you rinse your face it does leave skin smooth and gently exfoliated. It's not a harsh scrub at all, and as such is fine for everyday use. That said, EcoTools also has a Deep Cleansing version (it's grey) which contains bamboo charcoal. I haven't tried it, so I can't say if it has a different texture or provides a firmer scrub. Overall, I quite like this! It's a simple, yet effective concept. 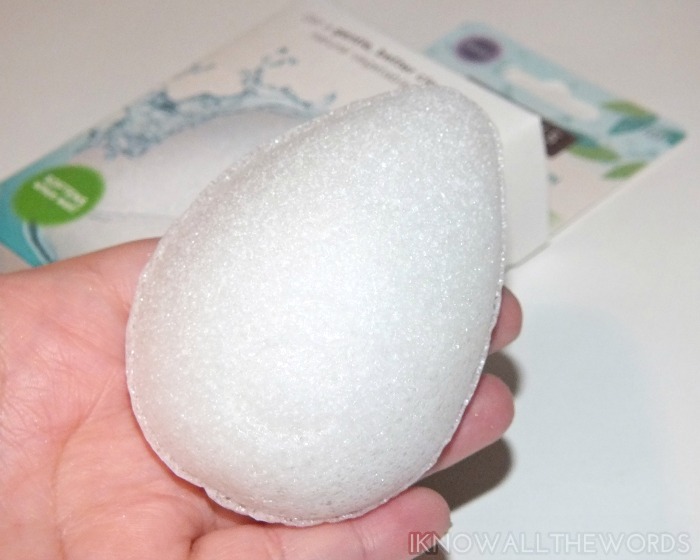 I've noticed many sponges are round, while this one has an egg shape with a pointed tip, and found the tip to work nicely to wash around my eyes, nose and mouth. Good thinking, EcoTools! Have you tried this- or any other Konjac sponge? Thoughts?